This Modern Concise 5-Drawer 360-Degree Rotation Removable Mirror Dresser is your optimal choice! Made with superior wood and MDF, it brings great durability and ultra comfort. 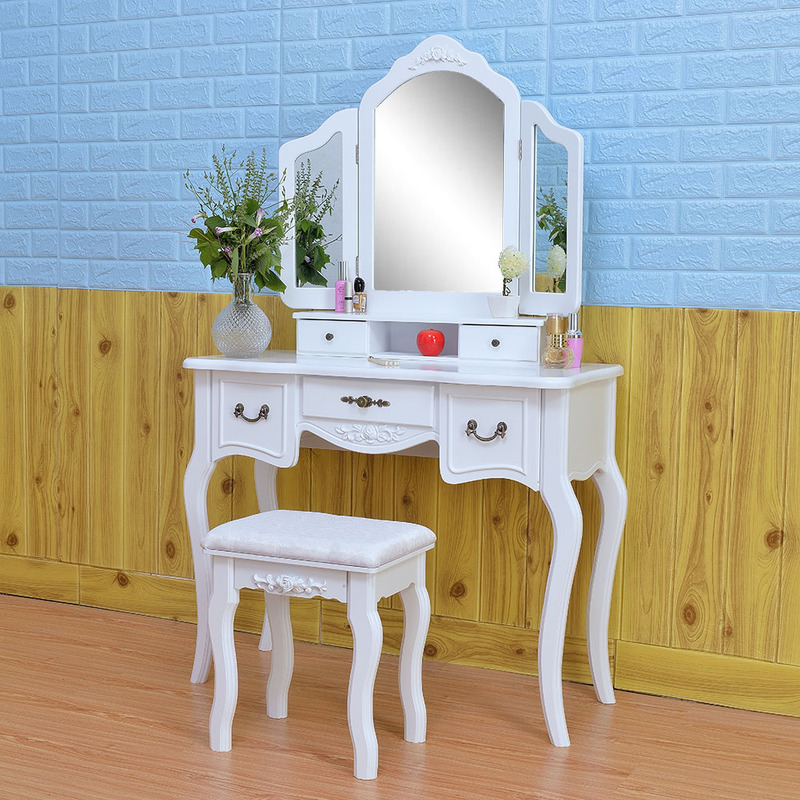 It is so exquisite with built-in mirror and 4 drawers. The mirror can be 360-degree rotation and removed to meet your needs. 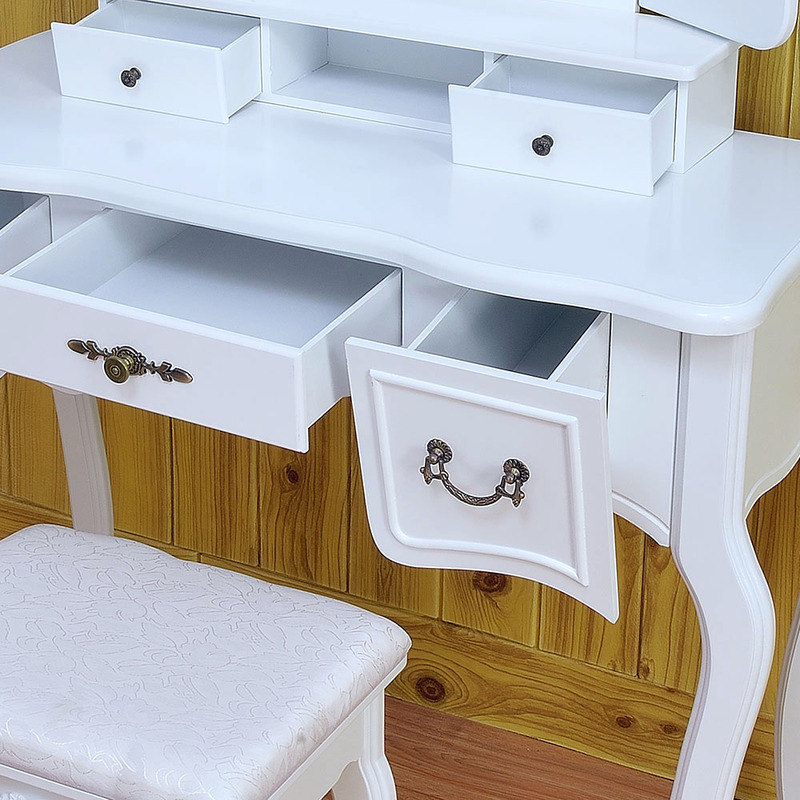 It is a dressers as well as a common table. 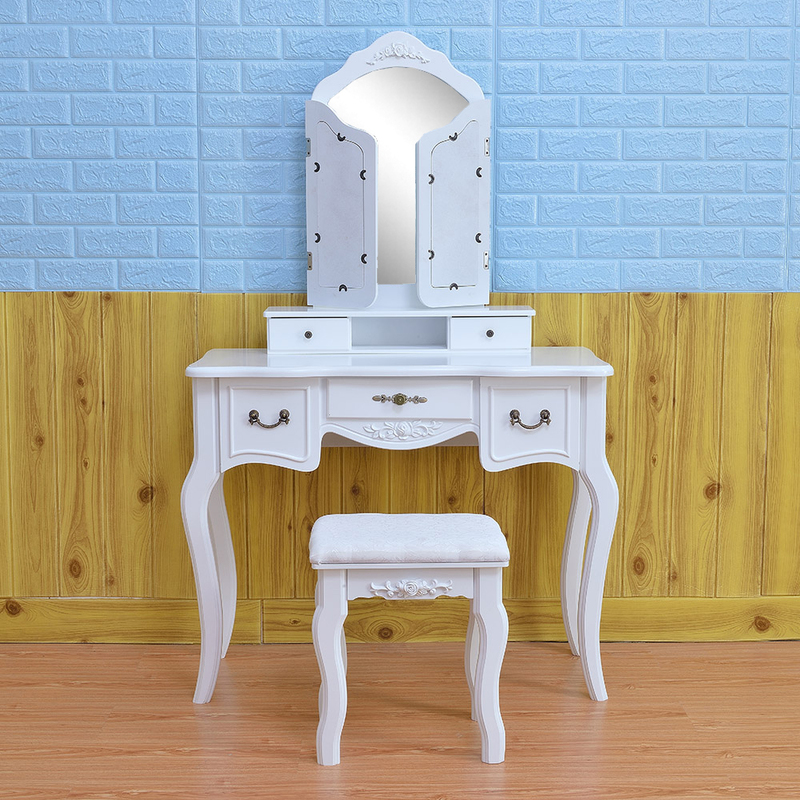 All in all, this dresser is really smart and stylish to satisfy you! 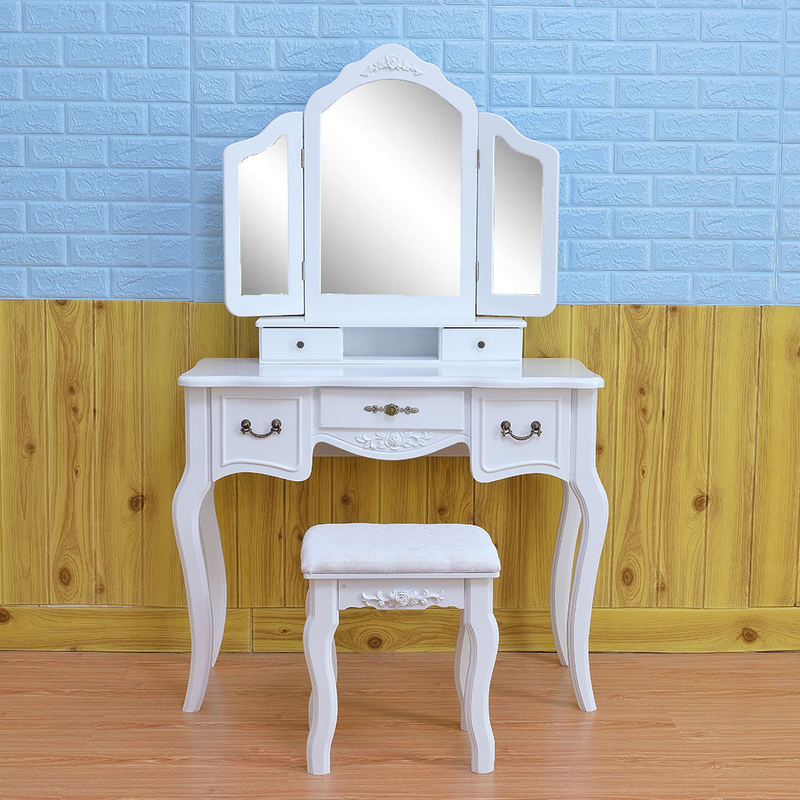 It can be used as a dressing table or as a desk. 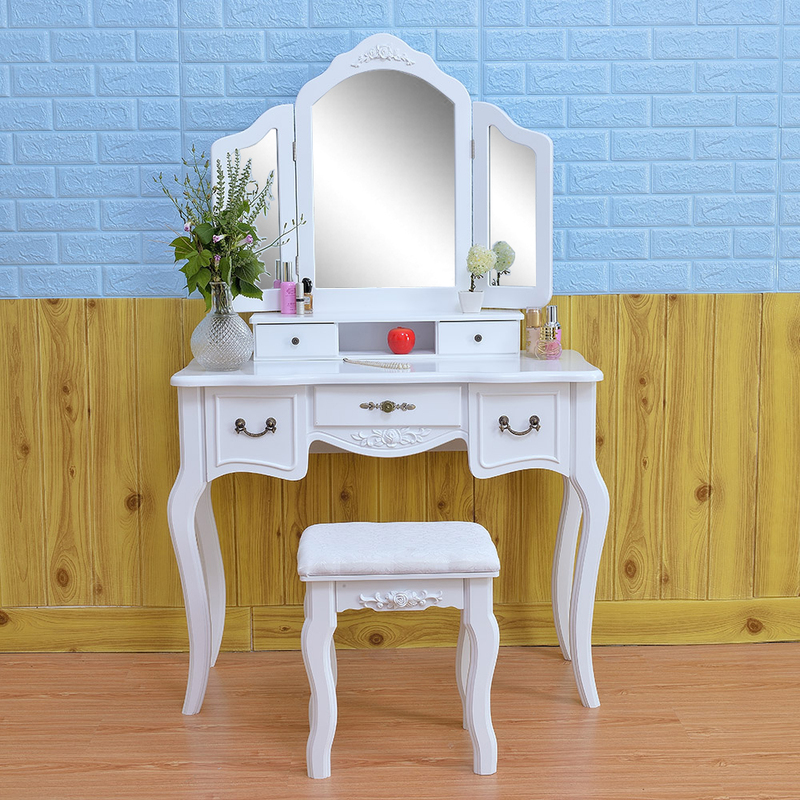 I like this multi-functional dressing table, which is very practical. In my bedroom, it is so cute and beautiful! It can be used for adults! love it. Looooooove it!!!! Easy to build! Worth the price for sure! Size is perfect too!! Highly recommend it! !